Super Polymerization is one of the strongest removal in the game. It takes out the opponent’s threats by using their monsters as Fusion Materials. 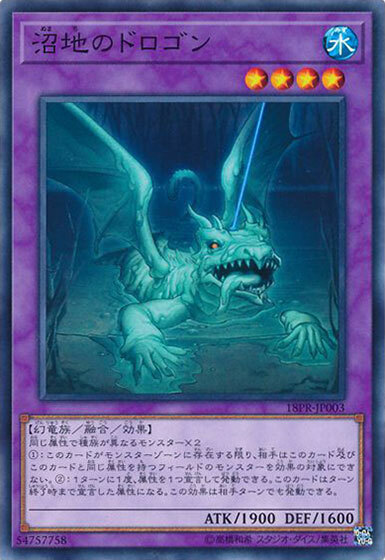 As Super Polymerization prevents cards and effects from activating in response to this card’s activation, it can be used against monsters with a negation effect without giving them an opportunity to negate. However, running Super Polymerization requires an Extra Deck packed with the relevant Fusion Monsters. This article will showcase some useful Fusion Monsters to run against the current OCG 2018.10 metagame. Cards and effects cannot be activated in response to this card’s activation. (1): Discard 1 card; Fusion Summon 1 Fusion Monster from your Extra Deck, using monsters from either side of the field as Fusion Materials. 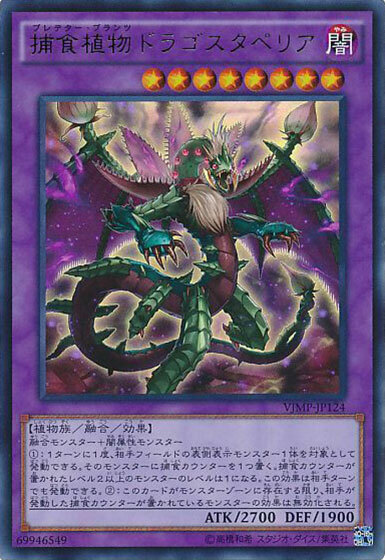 (1): Your opponent cannot target monsters on the field with the same Attribute as this card with card effects. (2): Once per turn (Quick Effect): You can declare 1 Attribute; this card becomes that Attribute until the end of this turn. Mudragon of the Swamp has one of the most flexible requirements that is useful for breaking boards and disrupting combos. These are some of the common opening board that can be broken by Super Polymerization for Mudragon. However, against Gouki and Good Stuff Link, more often than not, the opponent would have Special Summoned Knightmare Corruptor Iblee onto your field, blocking Super Polymerization from being played. When going first, Mudragon is also great for disrupting some common combo starters. You can only use the (2) effect of “Diplexer Chimera” once per turn. 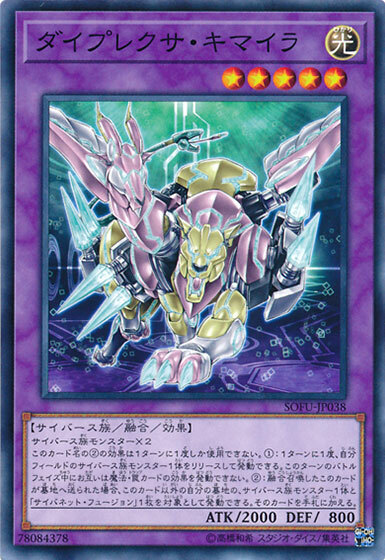 (1): Once per turn: You can Tribute 1 Cyberse monster; Spell/Trap Cards, and their effects, cannot be activated during the Battle Phase of this turn. 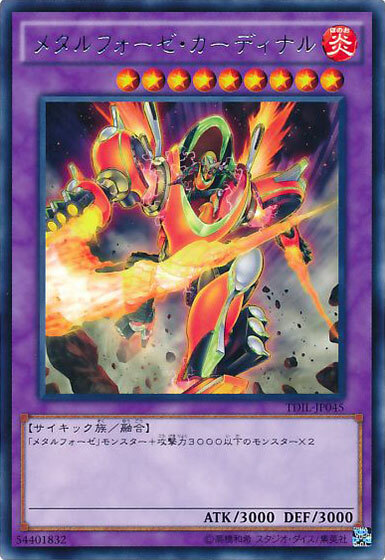 (2): If this Fusion Summoned card is sent to your GY: You can target 1 “Cynet Fusion” and 1 Cyberse monster in your GY, except this card; add them to your hand. Tri-Gate Wizard, Firewall Dragon , Linkuriboh and Topologic Gumblar Dragon are all Cyberse monsters that can be used to Fusion Summon Diplexer Chimera with Super Polymerization. Though there is still the problem of being blocked by Knightmare Corruptor Iblee. When going first, if the opponent opened with the standard Firewall Dragon and Knightmare Mermaid combo, wait for Knightmare Corruptor Iblee to be Special Summoned by Knightmare Mermaid‘s effect. Right after this, activate Super Polymerization to Fusion Summon Diplexer Chimera using Firewall Dragon + Knightmare Corruptor Iblee. (1): If this card is destroyed and sent to the GY: You can target 1 card on the field; destroy that target. Panzer Dragon is mainly for taking out Crystron Needlefiber + Borreload Savage Dragon. 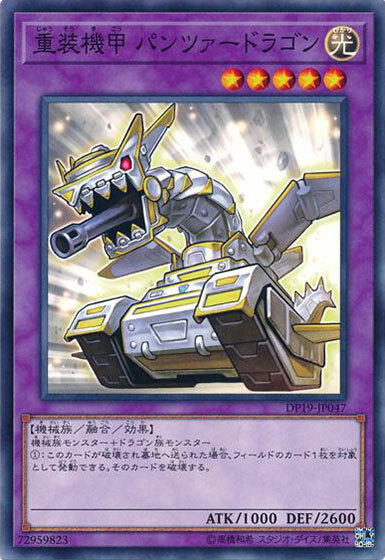 Despite its extremely niche usage, the ability to answer Magician’s powerful opening has made Panzer Dragon one of the more important Fusion Monster to include in the Extra Deck when running Super Polymerization. (1): Once per turn (Quick Effect): You can target 1 face-up monster your opponent controls; place 1 Predator Counter on it, and if it is Level 2 or higher, it becomes Level 1 as long as it has a Predator Counter. (2): Negate the activated effects of your opponent’s monster that have Predator Counters. Thunder Dragon Titan and Thunder Dragon Colossus are both Fusion Monsters that could be used for Fusion Summoning Predaplant Dragostapelia. Colossus being DARK makes it possible for Super Polymerization to take out both Titan and Colossus in one fell swoop. (1): If this card is Fusion Summoned: You can make this card gain ATK equal to 1 opponent’s Special Summoned monster, until the end of this turn. (2): Once per turn: You can target 1 Level 5 or higher monster your opponent controls; until the end of this turn, this card’s name becomes that monster’s original name, and replace this effect with that monster’s original effects. 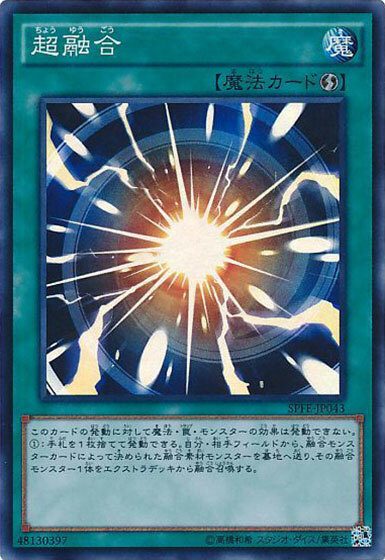 (3): If this Fusion Summoned card is destroyed: You can destroy all your opponent’s Special Summoned monsters. 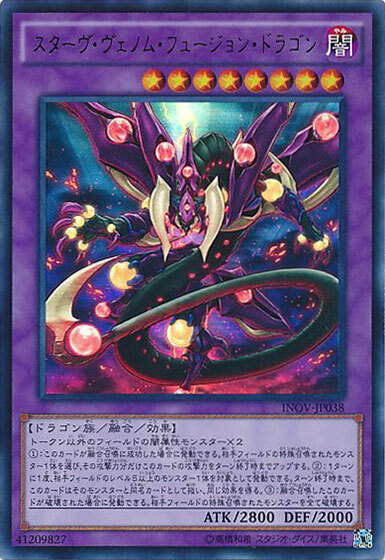 Starving Venom Fusion Dragon is another very flexible Fusion Monster for breaking boards and disrupting combos, largely due to DARK being a very common Attribute among powerful threats. 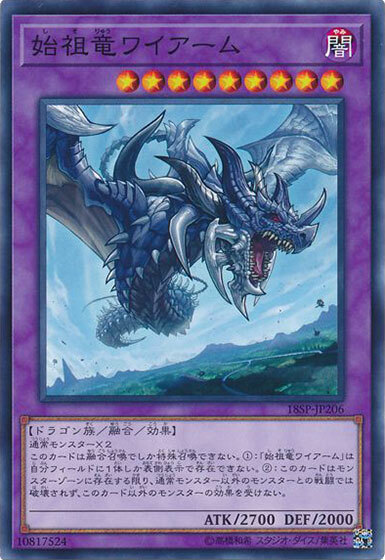 Several combo starter such as Armageddon Knight, Destiny HERO – Malicious and Destrudo the Lost Dragon’s Frisson are also DARK and are susceptible to disruption. (1): You can only control 1 “First of the Dragons”. (2): This card cannot be destroyed by battle, except by battle with a Normal Monster, and is unaffected by other monsters’ effects. Token Monsters are Normal Monsters, hence they can be used for Fusion Summoning First of the Dragons. This is primarily achieved by using 2 “Fluff Tokens”, produced by Dandylion. Gouki and Good Stuff Link have no answers to First of the Dragons as they rely heavily on monsters effects to clear their opponent’s threats, which First of the Dragons is immune to. Other than using Dandylion‘s “Fluff Tokens”, Scapegoat‘s “Sheep Tokens” can also be used for Fusion Summoning First of the Dragons. Pendulum decks rely on Heavymetalfoes Electrumite to setup their board, often bringing out Astrograph Sorcerer or Chronograph Sorcerer along with it. This would allow Super Polymerization to be used on Heavymetalfoes Electrumite and 2 monsters to Fusion Summon Metalfoes Crimsonite. Another point to remember is that when Supreme King Dragon Starving Venom copies the effect of Heavymetalfoes Electrumite, it will take on its name too. Thus allowing it to be used for the Fusion Summon of Metalfoes Crimsonite. Mudragon of the Swamp, Panzer Dragon, Starving Venom Fusion Dragon and First of the Dragons are four of the most common choices being played for Super Polymerization, especially when trying to keep to a minimal amount. Altergeist, Subterror and Meta Beat are some decks that do not require a lot of Extra Deck space and could support Super Polymerization. As these decks also run Pot of Extravagance in the Main Deck, they would frequently run duplicates of the above four Fusion Monsters in case one copy gets banished randomly.